Small Jobs Industries is a One-Stop-Shop for home owners, Home Owner's Associations, and small residential and commercial buildings. Customers enjoy the peace of mind knowing that all services they require can be handled with a single phone call at a price they can afford. Our company policy is that all jobs are to be completed to a 100% level whether the customer is having their gutters cleaned, their house painted or their home remodeled. Most of our work is backed by our 100% customer satisfaction guarantee that we don't leave the job until the customer is satisfied with the work. Small Job Industries is a 5-Star company and we set high standards for all services that we offer so you can expect the very best! We take pride in quality work and exceptional customer service. 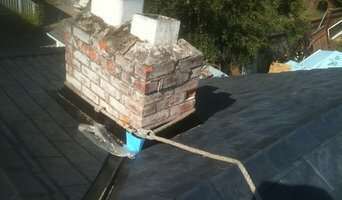 Since 1974 Addicott Roofing has operated as a family owned business. 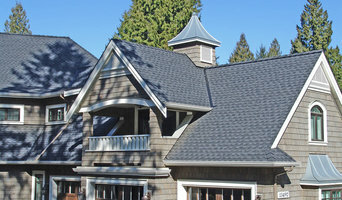 At Addicott Roofing we utilize our industry leading knowledge to provide personalized service to our valued customers. A construction company specializing in the forming, framing and renovation of both traditional and modern designs in the residential and commercial markets. Purposely kept to a smaller company size, the owner/operator John McInnally (Red Seal Carpenter) works hands-on with his crew each day to ensure quality and efficiency in each build. 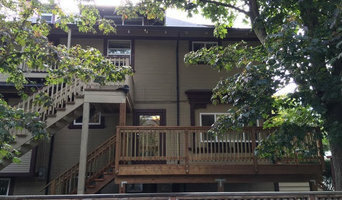 Utilizing traditional timber frame construction and materials wherever possible, we bring a sense of old-world character, warmth and charm to new or existing building projects. McInnally Construction is known for it's superior quality of design, craftsmanship and merging of tradition and modern styles. Passionate about the preservation of heritage design, we happily take on projects that must be built to match a specific time period in history. Should they be period homes or retail buildings looking to take their customers back to another era, McInnally Construction has the experience to make it happen. 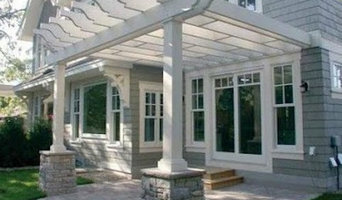 Our philosophy has always been to complete each step of a build thinking several steps ahead. What does this mean to our clients? Every aspect is built for purpose, not just to fit. Maintaining an intact and stable roof is a crucial part of healthy homeownership — not only can a roof make or break your curb appeal, your family’s safety and security can be compromised. Damaged roofing can result in anything from a few minor leaks to the entire ceiling caving in, so when the roof over your head — literally — is compromised, hire a qualified roof repair professional in Victoria, BC to fix the problem immediately! While a roof repair may seem minor or purely aesthetic — such as discolored shingles or cracked vents — they can be indicative of bigger problems to come. A leaking roof especially can result in a myriad of issues, such as damage to your ceiling and attic, interior mold and mildew, fire hazards, higher energy bills and the homes entire structural integrity being compromised. A combination of factors can lead to leaks, such as chimney damage, plumbing issues, old or dysfunctional skylights and damaged roof flashing, all of which a Victoria, BC roof repair contractor can help with. 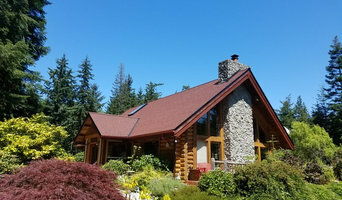 As you browse Victoria, BC roofers on Houzz, try and find someone who has experience dealing with your specific problem, whether it be a leaking roof, curling shingles or dysfunctional gutters. A Victoria roofing contractor should not give you a quote until they have thoroughly examined the damage from both outside and inside your home, and can provide a written estimate detailing the specifics of the roof repair.